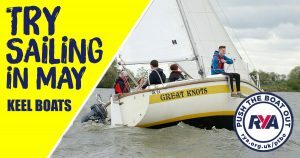 Lough Neagh Sailing Club is delighted to get involved again in this year’s ‘Push the Boat Out’ event. Are you are looking for a new way to get outdoors and active or find something you can enjoy together with the family? 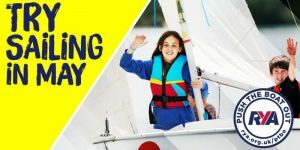 If the answer is yes, we are inviting you and your family to come and try sailing. Push the Boat out will be taking place on 18th May. To take part, visit us on Facebook or register for tickets on eventbrite. Click the image below to book a place on the Dinghy sessions. Click the image below to book a place on the Keel Boat sessions.